The mission of the Food Bank of Northwest Louisiana is to serve as the primary resource for fighting hunger in Northwest Louisiana. The Food Bank's vision is to ultimately end hunger in Northwest Louisiana by ensuring consolidated network of effective food collection and distribution which will provide universal access to food for the needy in our communities. In 1995, a group of individuals from churches with food pantries and benevolent organizations met to discuss the need to establish a local Food Bank to serve the parishes of Northwest Louisiana. This group evolved into a formally organized Steering Committee in 1996 and met with America's Second Harvest Food Bank officials in New Orleans and Alexandria. In January of 1997, they received confirmation that Dr. and Mrs. Charles T. Beaird had generously donated a building located at 2307 Texas Avenue. The Food Bank of Northwest Louisiana signed on as a Subsidiary Distribution Organization of the Second Harvest Food Bank in Alexandria, was incorporated, received 501 (c) 3 status, and after a great deal of work and preparation opened its doors on April 17, 1997. In June 2003, the Food Bank of Northwest Louisiana became an affiliate for Feeding America, the nation's largest domestic hunger relief organization. 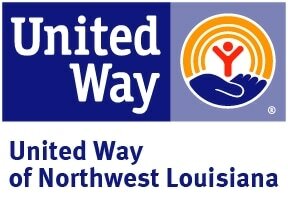 The Food Bank of Northwest Louisiana is the largest distributor of donated food for our 7 parish area and we of one of only five food banks in the state. We sort, warehouse and distribute food to over 150 non-profit organizations, shelters and churches in our seven-parish region, which includes Caddo, Bossier, Bienville, Claiborne, DeSoto, Red River, and Webster. These organizations, also called "partner agencies", distribute the food to needy individuals free of charge. Some partner agencies operate pantries, bagging up sacks of groceries for parents to take home to hungry families such as Noel Neighborhood Ministries and Operations Blessing. Some agencies prepare and serve meals to the hungry like Christian Service and Salvation Army. Many others are shelters such as Providence House, Oakwood Home for Women and the Shreveport Bossier Rescue Mission, providing refuge for people who require short of long term assistance. Still other groups distribute food to the elderly, many of whom are home-bound or chronically ill. The Food Bank also warehouses Northwest Louisiana's portion of the state's allocated USDA commodity food products. These USDA commodities are available at no cost to our partner agencies. Donated food from coast to coast across the United States is available for up to nineteen cents per pound, a shared maintenance fee, that helps to cover fuel and freight costs to get it here. Local food donations from businesses, individuals, and food drives play a large role in supplying the food needed to provide the 11 million pounds that we distributed last year to 75,000 individuals.